People around us claim that they don’t care about what they wear but everyday morning they also choose what to wear every morning. Thus the dress and clothing is an exact replication of each person’s mood and the how do you feel about that day. World is changing in a fast pace and thus there is a craving in the society for new looks and creative design in the clothing. Everyone in this current world looks to get a unique style of dressing to show their individuality and look different as well as unique from the rest of the world. Thus fashion is all about the making our life colorful and change our style as well as the way we dress according to our life and time. Fashion is not a new thing that come to us suddenly, it is there in the world from the time people started wearing dress. In the history we have heard that the first dress people wore was made of leaves and with a lot of revolution we are standing in a new world where everyone is worried about being fashionable. Fashion designing is a way to study the latest trends of fashion, clothing, and design to come up with a new trends and clothing. Thus it is a form of art that is dedicated to creating clothing and accessories. We see a shift in our culture from saree to jeans and now the world is looking for what is next. Interested in creating a new set of makeovers for the world? 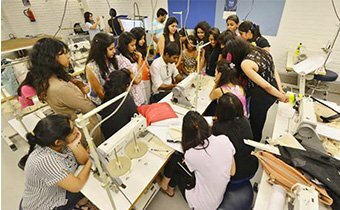 Yes, Fashion designing course in Chennai offered by Colors Institute of Fashion Technology is here to groom students having interest in the designing clothes and set a new trend for this craving world. Own business, boutique management, or garment designing unit, any one of this is your dream business and have setup everything but don’t know how to attract customers or manage the fashion designers work? Then the fast track course is here to help you learn all about fashion designing in just 6 months.Grab your customers, present your design ideas, manage the employees, and create a design trend to promote along with your business is all made possible through this course. Books are boring, not interested in regular career directions, looking for a creative and amazing career path, want to stand unique from the rest of the world. 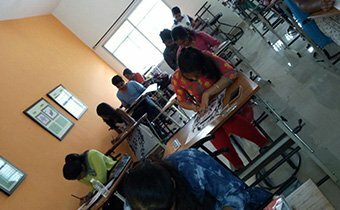 Yes is the answer then it is time to join the 1 year fashion designing course to get a career path in a right direction. Learn the ways to design the outfits and get the best tutors who will shape you to a world class fashion designer. Have interest in become a world class fashion designer and want to conduct fashion shows? Want to take a step towards a career in fashion designing but have no clue how to start this? 2 year fashion designing is the ultimate aim of making the world class fashion designers to get the learning about fashion in and out. Advancement of technology will help you design the fabrics in 3D and we help you train yourself to make you get your 3D display of the design. 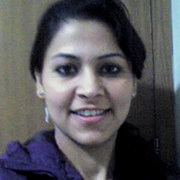 Hi this is priya, i did fashion technology in colors institute. The expertise teach me very well, and give a mini project to do in training, That training which helps me during interview. 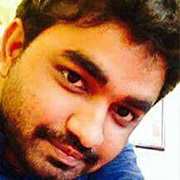 I thank god to gave me a job in fashion designing company and Mr.Rajesh. Myself Fathima, My father have a Company to design clothes for cini artists, Now i have to take over the company so i have to get an innovative ideas to design clothes. Without training we are nothing, So i have doing my fashion technology course in colos institute, they trained me very well. Now i eligible to take over that company. I willing to say thanks to Mr. Rajesh. Hi this is roshan here, My biggest aim is to beacome a fashion designer for men, working in cini industry. if i have a good knowledge in fashion designing then only i can suppose to get chance in cini industry, so i decided to join fashion technology in colors institute. They shine me very well. Now i got a chance in cini industry. I heed my heart to say thank to Mr. Rajesh.